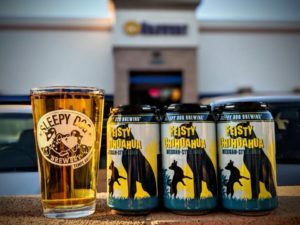 The Sleepy Dog House Tap Room will reopen its door Thursday, August 23rd. Come check out our newly remodeled Tap Room and enjoy a few handcrafted Sleepy Dog beers. And feel free bring your pooch along as the new Dog House is dog friendly. Complete hours are listed below. The Dog House is credit/debit card only and does not accept cash. There is no food for sale. Outdoor food is welcome. Bring your pup! Take good puppy food! The Dog House is dog friendly. For updates on regarding The Dog House, follow us on Facebook.